We are Full time studio and are available 24 hrs 7 days a week. Our prices range according to the specific event. We do offer a wide range of services and can accommodate basic services to every option type services. Our only awards we keep track of are the satisfaction and happiness of our clients! We work our magic by blending superior event coordination, the best music selections and the experience of decades of events behind us. Our company&apos;s mission is to provide you with a once-in-a-lifetime event that will leave you and your guests with unforgettable memories of your special day. We love what we do because of the rewards we get from seeing every costumer satisfied. We have a full time staff and entertainers that are here to help at any time no matter what the question. We are available to you 24 hours / 7 days a week no matter what the situation. We will always be here to assist you with any aspects of your event, whether from DJ to Photo to video and everything inbetween, an event specialist will be here to help and assist, that is where we separate from most and where we go that extra mile. Few can make that statement. Wonderful Experience With Ultimate Entertainment DJs! 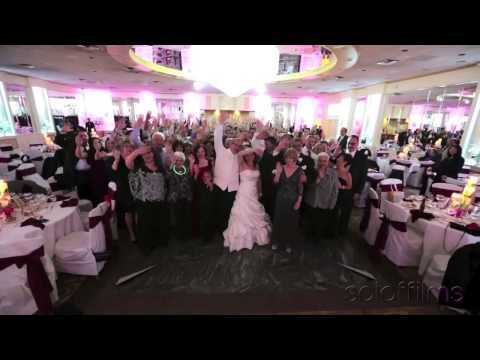 The Graycliff gave great advice by recommending your company for Photography and Videography! Ultimate DJs sent the best staff members to work with a nervous bride. They knew how to make me relax and enjoy my photo sessions. From the time they arrived at the hotel to the very end of the evening your staff was prompt, considerate, caring, patient and made it a fun experience. I would recommend ULTIMATE ENTERTAINMENT DJS and The GRAYCLIFF for all social events. James and his staff are over the top!!! We had an awesome night and they kept our wedding alive!!! Most of our guests were on the dance floor all night long!!! Their photographers are awesome ladies and helped guide us through our night as well. All our friends and family members can't stop taking about how fun our wedding was and how they had a great night. Words can't explain how thrilled I am with this company. Gus and I can't thank you all enough. They handled our ceremony, cocktail hour and reception music as well as provided our photo booth. Ultimate Entertainment DJs were great! They handled our ceremony, cocktail hour and reception music as well as provided our photo booth. We didn’t really have to do much as we only gave them the set songs we wanted for each of the special dances. For the rest of the music, we just told them our genre and they put together a fantastic playlist. Exactly the mix I was looking for. It was also super convenient having them handle the photo booth too and it was a big hit with our guests. I would definitely recommend them to anyone looking for a DJ in the area! We took advantage of all that Alex and Ultimate Entertainment offered and we were so happy! THANK YOU ALEX!!!! We had an amazing day thanks to you!! The dance floor was filled at all times!!! GREAT JOB!! We took advantage of all that Alex and Ultimate Entertainment offered and we were so happy!!! Steel Drum / Percussion was amazing some of our guests thought we had a whole band!! Vincenzo was a great Videographer. Photo booth was such a hit!! We wouldn't change a thing!!! Amazing Job!!! The light show and photobooth made the wedding complete for us. I would highly recommend Alex and his crew. Alex worked with us before the wedding to make sure that everything was perfect. He offered many songs and knew exactly when to play them. Alex knew exactly how to get the crowd moving. He followed the guidelines we had set beforehand. We never worried about someone getting a hold of the mic and making a scene. The light show and photobooth made the wedding complete for us. I would highly recommend Alex and his crew. We booked Ultimate Entertainment for our wedding and we loved them! We booked Ultimate Entertainment for our wedding and we loved them! Alex booked us and even DJ'd/MC'd the event! He made sure to go over the details with me of the important songs and took the suggestions I was able to leave via their website and ran with it. He had a great instinct for the crowd's energy and was very helpful in pushing along the hotspots such as cake cutting, bouquet toss, etc. Ultimate Entertainment also provided a photobooth which was a MASSIVE hit. Great experience all around.